Dunfermline five-piece indie rockers Modern Faces will release their debut single, a double A-side release of ‘Pravda Scrolls’ / ‘Cynical Brother’ on 9th April through Dirty Love Recordings. Full of young excitement, angst and debauchery and with confidence in spades, Modern Faces are a true rock ‘n’ roll band in the making. 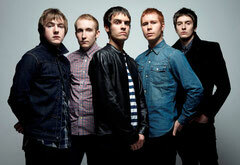 Growing up in their Scottish hometown of Dunfermline, the five friends; Monty (vocals and guitar), Gary (drums and backing vocals), Jamie (bass), Mike (lead guitar) and Shields (keys), formed in early 2010 with the goal of merging their rock n roll, Britpop and Motown influences to make great music. The debut double A-side single release of ‘Pravda Scrolls’ and ‘Cynical Brother’, released on their own label Dirty Love Recordings, gives a perfect taste of what is to come from them. ‘Pravda Scrolls’ is a politically driven indie anthem full of dark guitars and brooding, intense vocals while ‘Cynical Brother’ has a punchy, heavy guitar riff throughout with thumping drums and epic vocals. 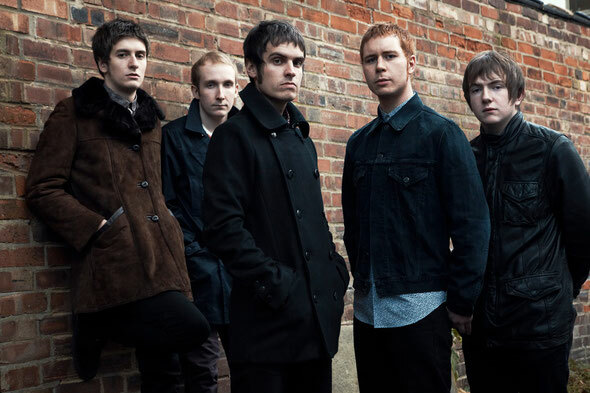 The group wear their musical influences on their sleeves and musical inspirations such as Oasis, The Verve, The Music, The Stone Roses and Kasabian are all evident in their strong indie rock sound.